Anti-Racism in the Workplace two-day training, August 9th & 10th, 2010, UC Berkeley. How can we build powerful, dynamic, and effective multiracial movements and community institutions to further our visions of worker self-management and a democratic society? How is white supremacy a major barrier to accomplish this? This workshop by the Catalyst Project is based on the belief that anti-racism can be a catalyst to challenge injustice and help us move towards our vision. This interactive workshop is designed to support activists in building analysis of white supremacy and white privilege and develop anti-racist organizing skills. While Catalyst Project works primarily with white activists, the workshop is for anyone who wants to develop their anti-racist practice. Core content includes historical and current institutional analysis of white supremacy, looking at how white privilege impacts social justice activist work, and anti-racist organizing principles that we can bring into all of our workplaces, organizations, campaigns, and efforts to build a healthy, sustainable, and just society. In day two, participants will draw on anti-racism analysis developed in day one to focus on how to create and center anti-racist worker cooperatives. This session will begin by tracing the history of worker cooperatives in both challenging and upholding white supremacy in the US and internationally. Following this discussion, participants will look at examples of worker co-ops and other cooperative organizations that have successfully integrated anti-racist politics and practices into their structures. 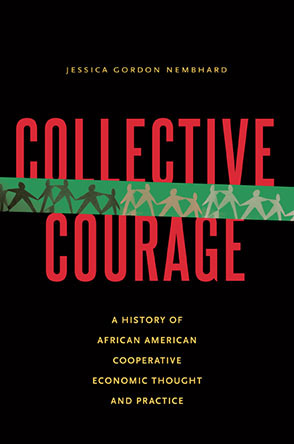 Participants will workshop possibilities for implementing similar plans at their own co-ops and in the broad cooperative movement in the goal of finding new ways of integrating racial justice and economic justice across the cooperative movement. To register, go to http://www.usworker.coop/events/conference2010/intensives. Registration is now only $100.